﻿﻿﻿You can click this button to check your grades on Sycamore. Opportunity tickets on sale now! 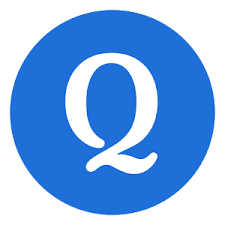 Click here to practice the quizlet for our Social Studies test on Thursday. Check out this "Subtracting with Regrouping Video" just in case you need a little refresher. This might help our parents understand how we draw a proof drawing to prove our subtraction. ​ for our space test this week. We are learning about Adjectives! Check out this fun video to learn all about how adjectives "Paint the Way" and make our writing and reading so much fun!! Click on the Quizlet button to practice for our Social Studies Test on Thursday. 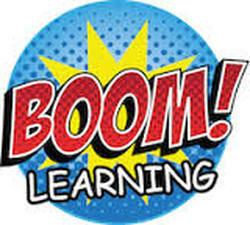 Boom Learning is a new app and website that is great for students to practice concepts. It is an app in the app store for your iPad or phone. I have created a few study sets for our Grammar test and math tests this week. I create them to go with the questions on our quizzes so they are a great study tool. Once you download the app you will need to sign in to our class. The username is grayfcs and the password is Lions. Once you log in click on your student's name and their password is abc. Click on either deck and then your student can answer the task cards with an immediate right or wrong response. Perfect when you are in the car and on the go. Boom Learning is a new app that is great for students to practice concepts. It is an app in the app store for your iPad or phone. I have created two study decks for our grammar test on Thursday covering quotation marks and commas. Once you download the app you will need to sign in to our class. The username is grayfcs and the password is Lions. Once you log in click on your student's name and their password is abc. Click on either deck and then your student can answer the task cards with an immediate right or wrong response. Perfect when you are in the car and on the go. Check out these two quizlets to practice for your reading test on Wednesday about our story "Teammates". There is one with comprehension questions and one to practice your vocabulary. Click on the Spelling City picture to go to the Spelling City website and practice our spelling and vocabulary words for the week. Study this quizlet on complete sentences and fragments to practice for your test on Wednesday. Subject and Predicate Test on Wednesday! 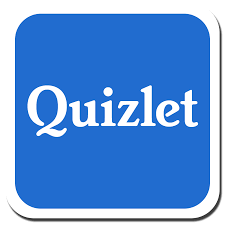 Study this Quizlet to help you prepare for your test. for our Maps and Landforms test on Friday. Check out this fun video about landforms! We had a great first day of school. I am very blessed to have all of your wonderful students. This is our class website where you will find lots of really important information, newsletters, games, and review. Click on the file below to view our classroom policies. Let me know if you have any questions. I look forward to a great year.